This week we have been practising our time telling skills. We love ‘Maths Mansion’ so we watched ‘Doing time’. It introduced us to the 12th Elf. 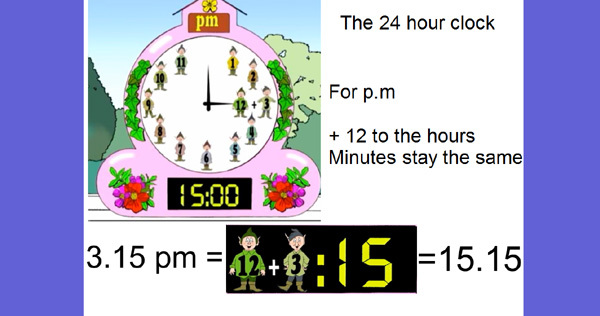 We now know that to convert the 12 hour time to 24 we add the magic number 12 to the number of hours. An important skill to have Robins – there are so many occasions when the time is written in this way. I wonder who can give me an example?